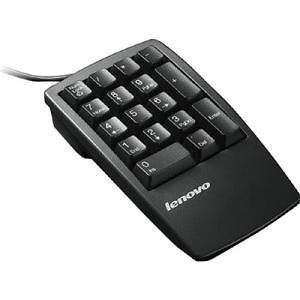 The USB Numeric Keypad is a 17 key number pad for use with a ThinkPad or other notebook computers. USB is a new interface technology which lets you connect the keypad at any time and use it immediately. Anyone who works with numbers on a notebook computer will appreciate the power and portability of the USB Numeric Keypad.